You pile up enough tomorrows, and you'll find you are left with nothing but a lot of empty yesterdays. Broken today, healed tomorrow. There's nothing mysterious about how life works, it just goes on. You'll never see the great things ahead of you if you keep looking at the bad things behind you. You are exactly where you need to be to reach your goals. Everything you've been through was preparation for where you are right now and where you can be tomorrow. Tomorrow is used to indicate the next day. We talk of a better tomorrow when things are going wrong during the present day. Tomorrow indicates hope and belief in a better future. People generally postpone their activities of the present day to the next day, i.e. Tomorrow. But one has to remember that tomorrow never comes. So, one should build the habit of doing things today itself and not leave them undone for tomorrow. We generally look forward to the next upcoming day and plan our present accordingly. 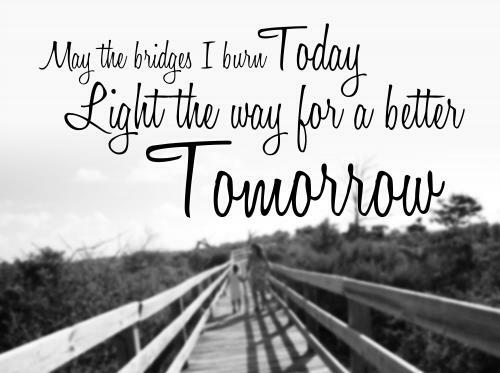 One should always be hopeful for a better tomorrow which will open a new set of avenues and possibilities for us. 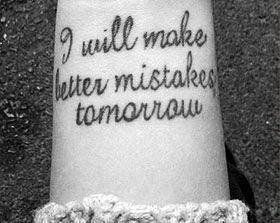 Here a better tomorrow implies a better future. Don't leave things for tomorrow and don't procrastinate. But do work towards a better future and build a better tomorrow for yourself. The only way you can do so is by living in the present.